Learn the Patella stabilisation : Tibial tubercle osteotomy and Medial patellofemoral ligament reconstruction surgical technique with step by step instructions on OrthOracle. Our e-learning platform contains high resolution images and a certified CME of the Patella stabilisation : Tibial tubercle osteotomy and Medial patellofemoral ligament reconstruction surgical procedure. In cases of recurrent patella instability, and once maximal non-operative management has been exhausted, a surgical stabilisation is indicated. The non operative interventions to be explored are covered in the indications section. 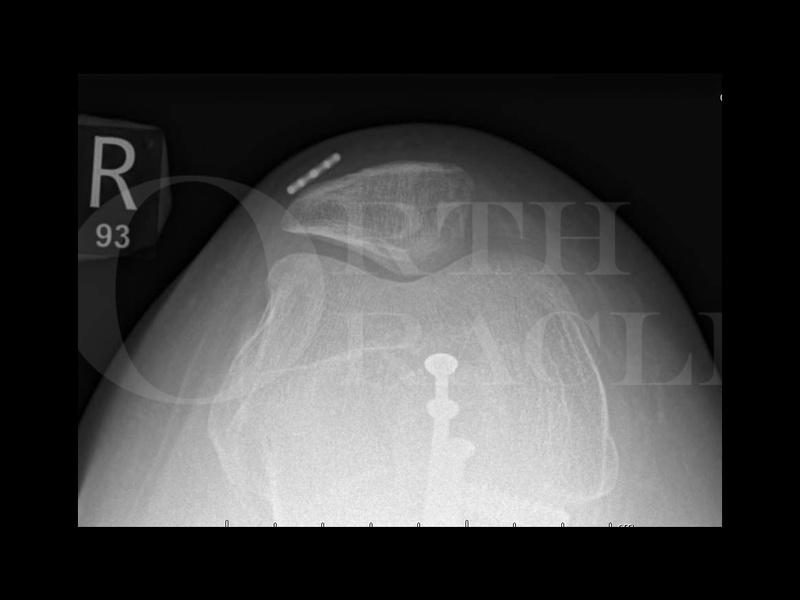 There are a number of operations for patella stabilization which have been used over the years, although more recently realignment of the patella with a tibial tubercle osteotomy (TTO) most commonly to distalise and medalise associated with reconstruction of the medial patellofemoral ligament (MPFL) have become the most popular. Sometimes these are used together and occasionally there is a need for Vastus Medialis advancement (as described by Insall) in addition. Combining the TTO and the MPFL reconstruction poses potential problems for incision placement, but my strategy is to use a single anterior longitudinal incision allowing for both the TTO and the hamstring harvest, but with a longer incision than normally used for performing a TTO. Institution: The Avon Orthopaedic centre , Bristol ,UK.